If you have decided to host a party for a birthday or just for fun in the summer, you will probably think that the garden is the best place to host it. After all, there is room to move around, and you can enjoy the sunshine. However, you then have the task of getting the garden ready for the party but try not to worry. 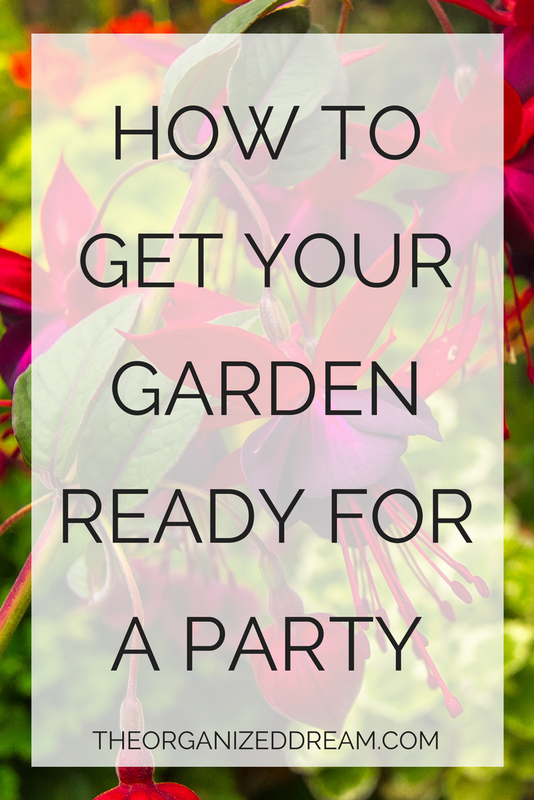 There are many ideas and tips that can help you turn your garden into the perfect party venue. If you have your party in the garden, then you need to have plenty of room for people to move around. It is especially important if there are going to be children there just in case there are any accidents. It is actually a good excuse to throw out all those old things you have had in your garden for years. Take them all away and give yourself some much-needed space. If you haven’t been out in the garden much until now, then you may find that the garden furniture has become a little dirty over the winter. Spend some time cleaning the furniture and washing the cushions if they need it. The same applies to any kids play toys or trampolines in the garden; they can easily be washed down with the garden hose and some washing liquid. When you have cleared everything, you don’t want out of the garden; you need to take a look at the flowers and plants. You may well have some weeds growing that you can remove, and you can pull up any dead plants ready for some new ones to take their place. Replanting new flowers is a nice feeling, especially when they are bright and adding color to the garden. If you aren’t sure what to plant, then take a look at some gardening websites such as My Gardening Network for some inspiration. Although not everyone will be sitting at the party, you need to have enough seating for those that want to sit down. As well as the garden furniture, you can also use some of the dining room chairs as long as the weather is staying dry. You can also get some additional garden chairs that fold up, so you can store them away afterward. To make the garden look that extra bit special, you can add some lighting to the seating area. Holiday lights are great for this because you can drape them around the garden and create a nice gentle light. You can also use some candles but make sure they are out of the reach of the children. There are other things you can consider for your garden party, you can have a barbeque so that you can cook some or all of the food outside, and you can have a firepit as well for people to sit round in the cooler evening. You will then have a garden ready for your party to begin.